Ponchatoula Strawberry Festival: A Berry Good Time! Hop in the car! Come with me! We're going to Ponchatoula, Louisiana! Pon-cha-toula??? Yes!!! 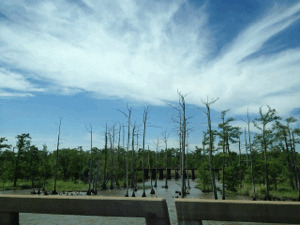 Ponchatoula is a small, family-oriented town that's about an hour away from New Orleans. 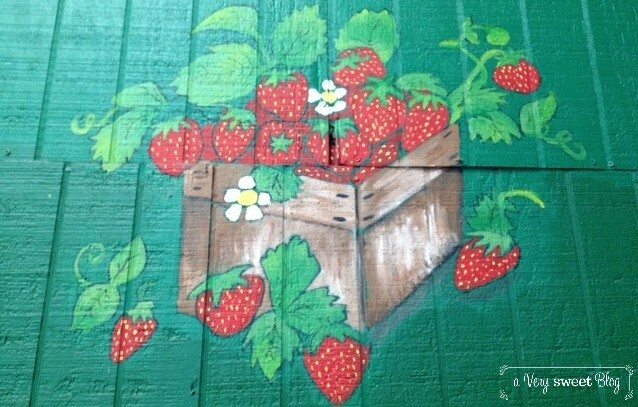 Ponchatoulan's call their city "The Strawberry Capital of the World" and each year host a delightful Strawberry Festival. Many attend from all over Louisiana every year. We had BEAUTIFUL weather Saturday (April 13th) so I thought it would be a great day to get out. Sunshine! Blue skies! Fresh air! 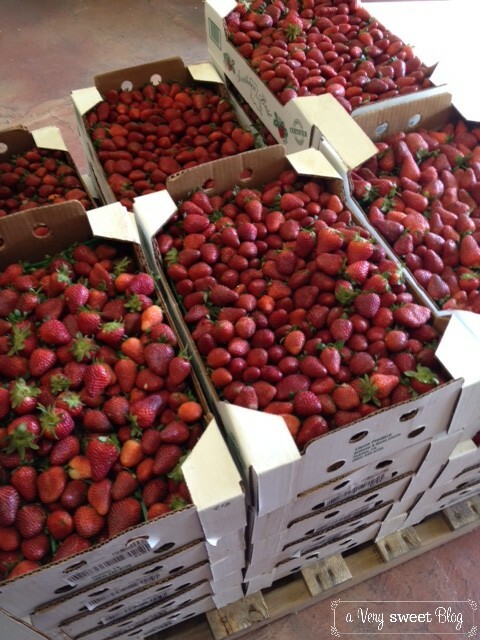 And of course LOTS and LOTS of STRAWBERRIES! 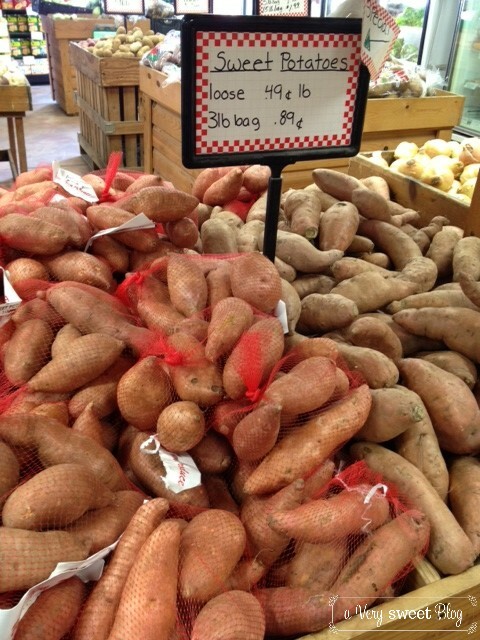 There are so many wonderful things to buy when you're in Ponchatoula. 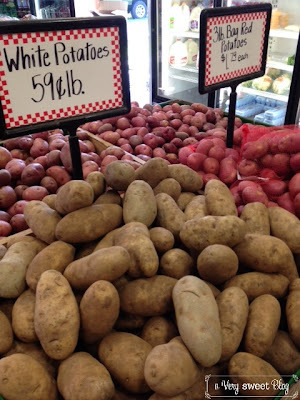 I love their fresh fruit & vegetables. I believe in buying from & supporting local businesses, especially when it comes to food. For this trip, I picked up cabbages, potatoes, creole tomatoes, gumbo and of course fresh strawberries. They also sell cute serving ware, tshirts, artwork and jewelry. 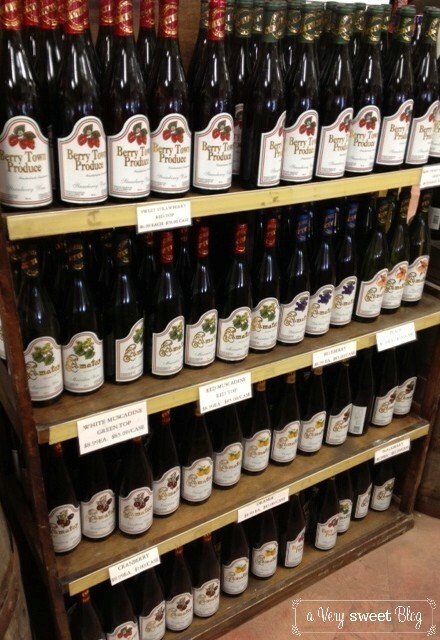 Many people go to The Strawberry Festival to stock up on Ponchatoula wine! 1-2 bottles? No. No. No. Everyone leaves with cases of this stuff. It's that good! My favorite of course is their Strawberry wine. They give you a choice of Sweet, Semi-Sweet, and Bittersweet. My second favorite, is their Peach Wine. It's very smooth and goes well with so many Summer dishes. They also have Blueberry, Orange, Cranberry and other flavors. 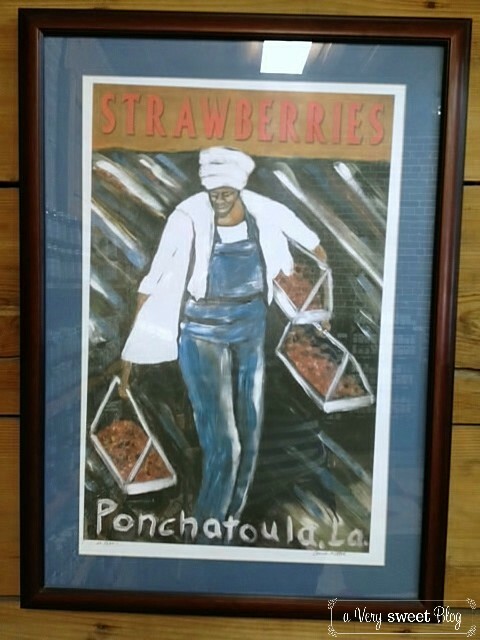 The City of Ponchatoula was established as a logging camp in the early 1800's and at the turn of the 20th century commercial farming became it's main export. Just check out this cool train they have on display! Choo Choo! 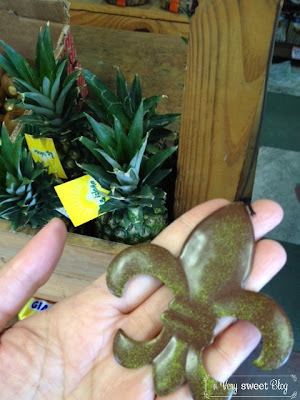 The City of Ponchatoula is also known for their many antique shops! They're known as "The Antique City". They have a rich sense of history and even have their own museum. The Indian name Ponchatoula means "flowing hair", arrived at by the Indians as a way of expressing the beauty of the location, with much moss hanging from the trees. (source) I want to thank Mr. CJ for letting me park in his parking lot for the event and for the bathroom facilities! He's a really nice man! Ready for a parade? 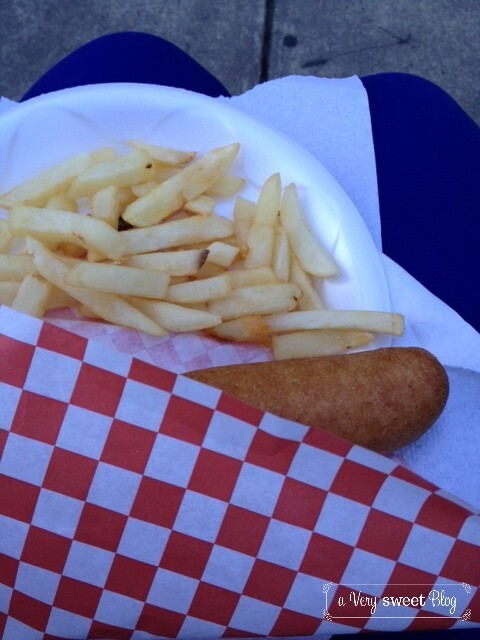 Grab a corn dog! You'll need energy to catch all the great stuff they throw! The local police drive their motorbikes in formation, the fire department showcase their beautiful trucks, dance groups dance, senior citizens wave, strawberry queens reign and then there are the floats. Someone on one of the floats, truly thought I was special, because I caught an Elmer's Strawberry Heavenly Hash candy bar (the Elmer's Chocolate facility is located in Ponchatoula). How cute is the Berry Pickin' Diner float below? It was my favorite. I also befriended the cutest little dog. He was decked out in his finest and his owner was the sweetest. I never leave without indulging in a Strawberry Funnel Cake. A very nice lady at Mr. CJ's makes them hot & fresh when you place your order. You just pop a squat on a nearby bench, watch people pass by and enjoy yourself! 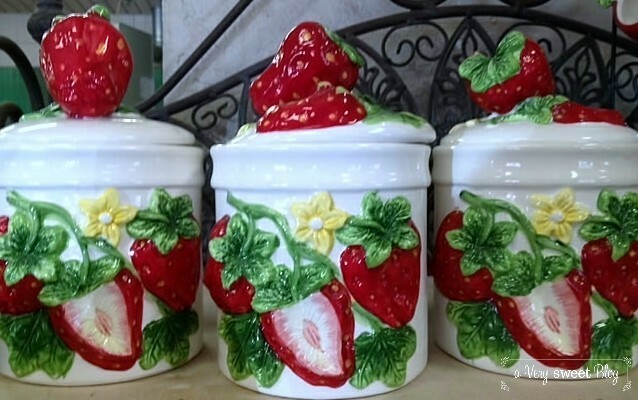 The Ponchatoula Strawberry Festival is SWEET! 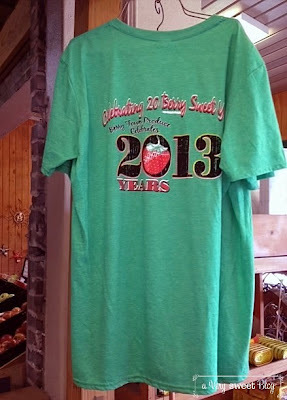 A strawberry festival and strawberry wine/everything strawberries? Mmm! This reminds me of the strawberry fields in the Philippines. In Baguio, the strawberry fields are legendary. Haha, many mainlanders visit the mountains just to visit them and most are amazing strawberries grow from the ground - they thought they grew on trees! Haha. Anyway, thanks for the sweet comment Kim <3 My lola is someone I'll miss, but I'm just grateful I at least got to see her recently. <seriously Kim I want to come on one of your days out. Looks like so much fun. And I have never seen nor tasted Gumbo - or strawberry wine - sounds delish. i looove strawberries, that's the best festival I've ever seen/heared! I think, we should follow each other via GFC and bloglovin', so we could stay updated and keep in touch, though! What do you think? It would be a pleasure! Please let me know, if you want to! Loooove your post and strawberries! So nice they taste delicious and have no calories! looks fantastic. thx for sharing. You are so lucky to have fun festivals like that to attend! Mmm strawberry funnel cakes! Ooh and I can't wait for "The Great Gatsby" to come out too! I enjoyed reading this post !! looks like tons of fun. 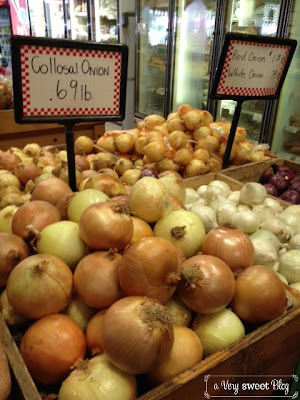 My hubby and I also try to buy the most local and fresh but obviously - it's way better there not here. So wonderful! It's like a strawberry heaven! :) What a great day out! you have strawberry festivals?! !this looks amazing..i really really wish i could be there what with all the amazing wines and food..and you look so good in blue kim! Oh, Kim, my mouth was watering when I read everything you cooked on Sunday, it sounded delicious! 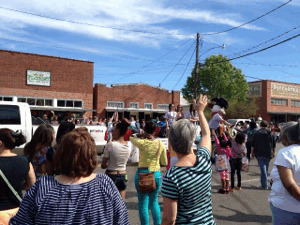 And the Strawberry festival seems so much fun! I love strawberries and I would love to attend some day ... and try some of that strawberry wine! I die looking at this post Kim!! Fresh strawberries, strawberry wine, peach wine (although i am not a wine drinker, these flavors are too tempting! )and and funnel cake...sound like heaven on earth. I have to check if they have similar festival here in Texas. There is a fruit/veggetable farm not too far from our house where they allow you to go pick fresh fruit too, i have been wanting to go. You look beautiful as always. Miss ya! My gosh this is amazing. I LOVE strawberries! Ohh, strawberry shortcakes! I've never had strawberry or peach wine but both sound so yummy! And that funnel cake looks heavenly. Thank you for sharing your wonderful day with us through your pictures. I've not tasted Strawberry wines. If people are buying in bulk, it must be good! AH! I am so jealous! I LOVE strawberries, I would have been in heaven! That wine sounds really yummy as well. I like your outfit too, perfect for a Summer-y day! That looks like a really good time! 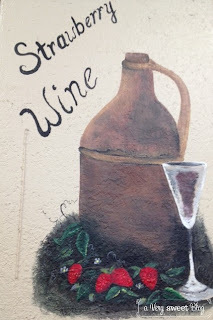 I love strawberries but have never had strawberry wine - that sounds yummy! The other flavors sound awesome too. How fun and delicious. 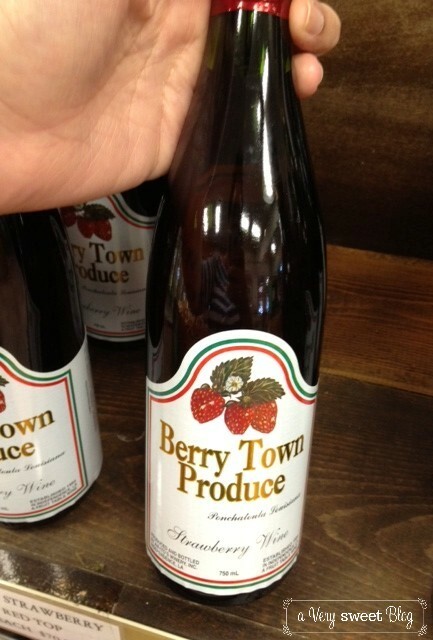 I salivated at the thought of strawberry wine and/or cider. 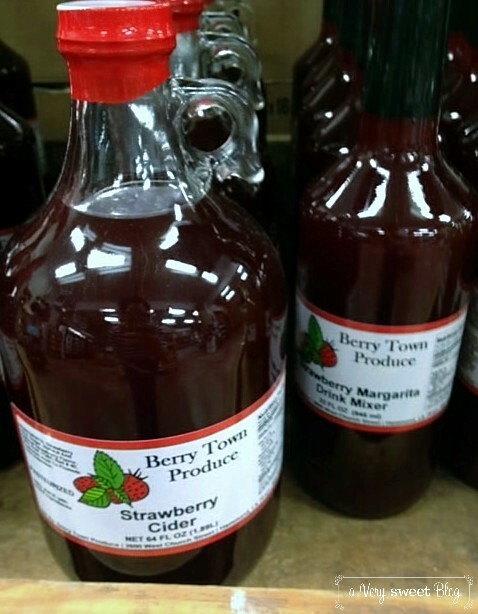 I honestly have to try the strawberry wine and eat the funnel cake! 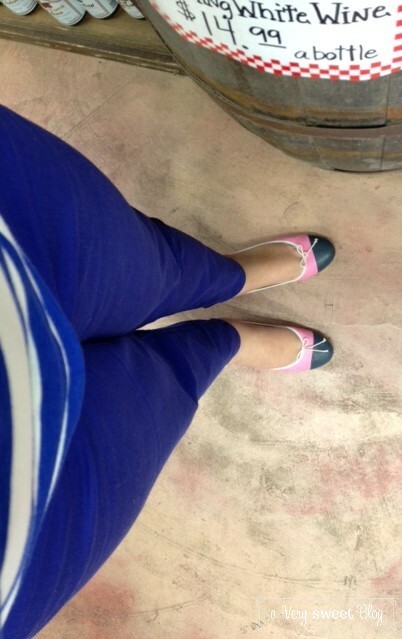 And your flats are pretty cute too! Love how good you are at documenting your travels! Kim, that sounds like so much fun! I love strawberries. I used to pick strawberries with my mom when I was a kid. They were so juicy and sweet! That strawberry wine looks good too. 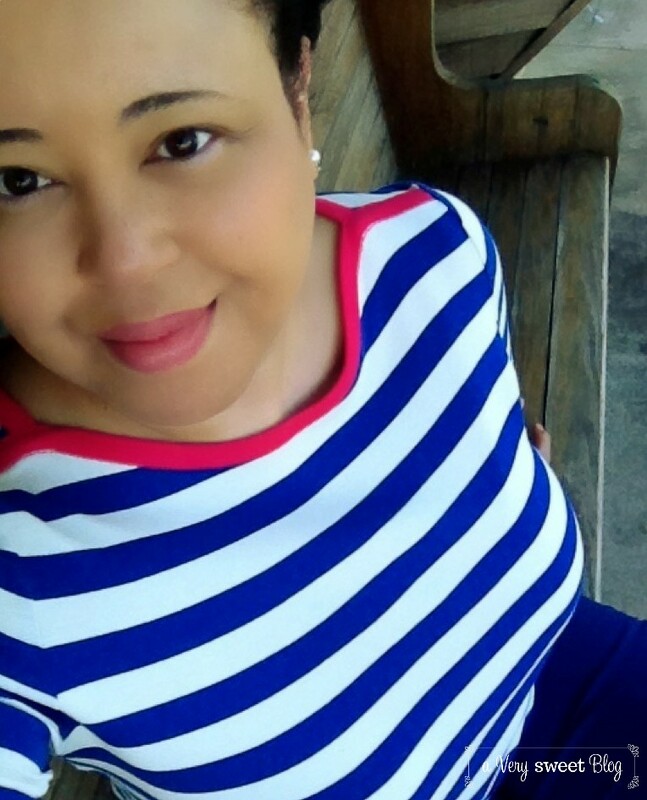 Love the striped top on you. Have a great week! I have never tried strawberry wine .... we have one province here where strawberries are grown and its in the mountains- it's too here in the city. this looks like so much fun! I can't wait for summer after seeing these photos! Omigoodness, I am a strawberry FREAK! haha. 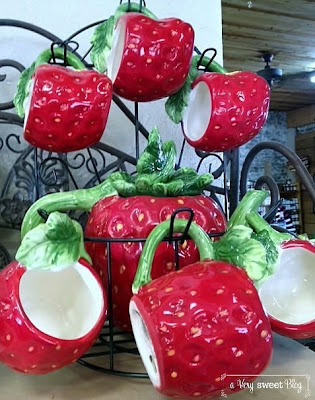 I was so happy when I found a strawberry sugar bowl and strawberry jelly jar at the antique mall last week, and I have SO been looking for a strawberry mug like you have in your photos. Mmmmm think I may need to go home and have some strawberries now, looks like you had a fabulous time! I love festivals like this one. There's a cute lil town nearby that does an apple fest every fall and it's so cozy and fun. They serve apple dumplings which are heavenly. I can't wait until summer starts and I can start going to the festivals here. Love to try some of that strawberry cider! 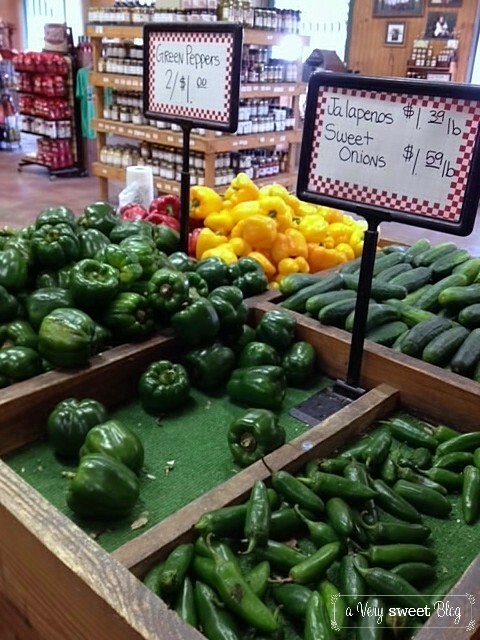 I love fresh fruits and veggies. Everything looks so delicious. A big bowl of those strawberries would be wonderful. I love your outfit too. 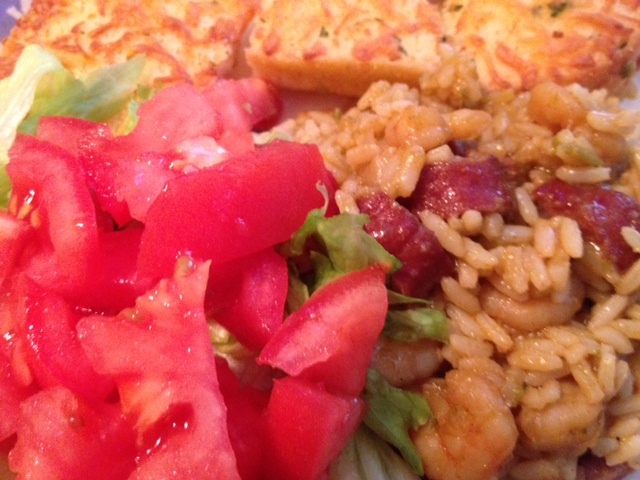 Strawberries galore & delicious jambalaya? I'm so in! Thanks for sharing your experience Kim - I will have to check it out for myself if I'm ever nearby! Ps love the outfit - the pop of blue is gorgeous on you! Thanks for taking us along on your fun day out! I just wish I could reach out and grab some of that yummy strawberry goodness! I didn't even know there was such a thing as strawberry cider. And how cute are you in that outfit Kim! I love everything about it from the fun striped top to the cute ballerinas. Those strawberries look delish! And it looks like I wasn't the only one who ate funnel cake this weekend! Beautiful snapshots and strawberry wine sounds so yummmm! Seems like you had a BERRY good time, Kim;)! That sounds like a wonderful festival! Wish I were there; I adore strawberries! The town looks so quaint and picturesk! aaww this looks very sweet :) makes me want to ditch city living! Oh gosh, Kim!! This looks like so much fun. I grew up in Florida and we had strawberry festivals that were amazing. It brings me back:) That funnel cake is to die for!! I'm a sucker when it comes to events like these. I'll end up buying strawberry-flavored everything! Strawberry wine sounds fantastic. What an awesome festival! Those strawberry cups are so cute and I would love to try their wine! I enjoy festivals like this with floats, activities and delicious food of course. I've never tried strawberry funnel cake but I've always been a fan of starwberries and cream so I know I would love it! There's a farm a few miles away from here where in the summer we can go and pick our own strawberries - great fun and so fresh. Now I'm hungry for those funnel cakes. This looks like a fun and delicious festival to attend. I loved the strawberry mugs,what a great festival! i just enjoy your photos in general kim - it has to be said - they always look delicious if they're food related and these are no exception.. drool!